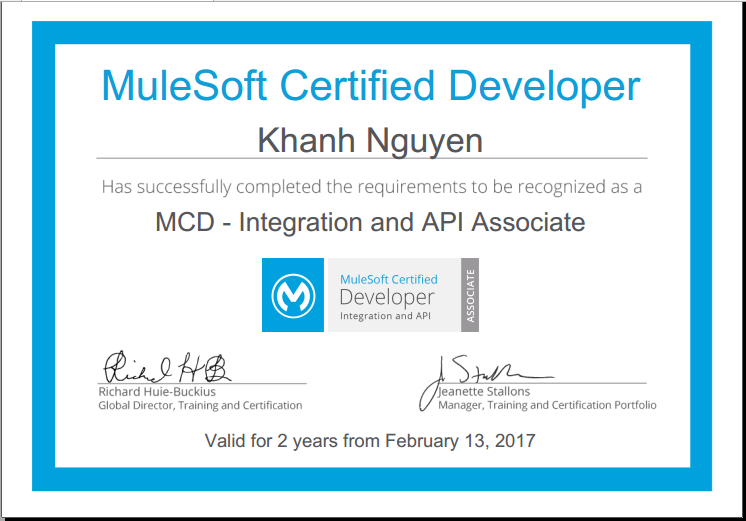 MuleSoft Certified Developer – Integration and API Associate is a must-have certification for a Mule ESB developer. To achieve this certification, you must have some basic knowledges about Mule ESB and its components. Huong Dan Java provided some tutorials about Mule ESB at here. You can refer any resources you have about Mule ESB during the exam. Maximum time for this exam is 90 minutes. You must answer correct at least 75% to pass this exam. You can refer more information about this exam at here.